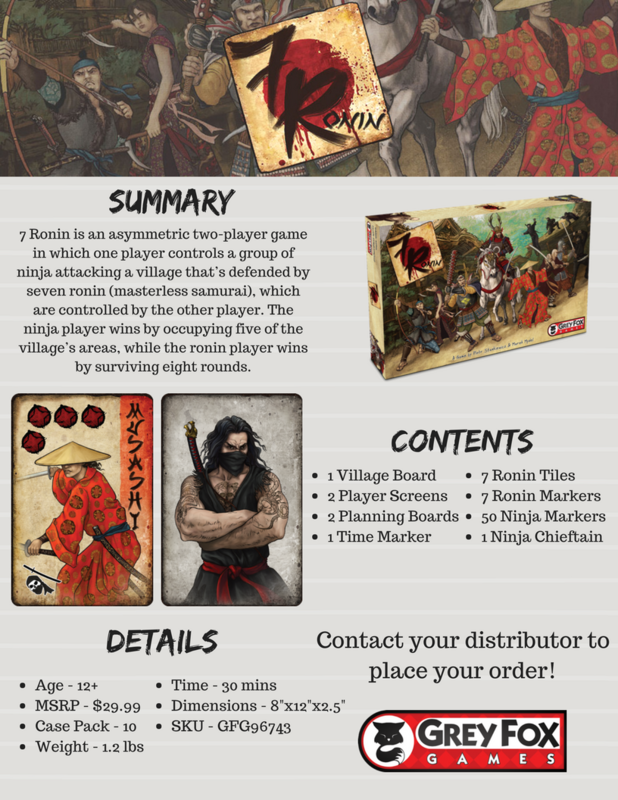 7 Ronin is a tactical board game of bluff and intuition set in feudal Japan. One player becomes the leader of a clan of ninja warriors attempting to steal food from a village and fill their own granaries. The other controls 7 ronin - wandering samurai hired to protect the village. 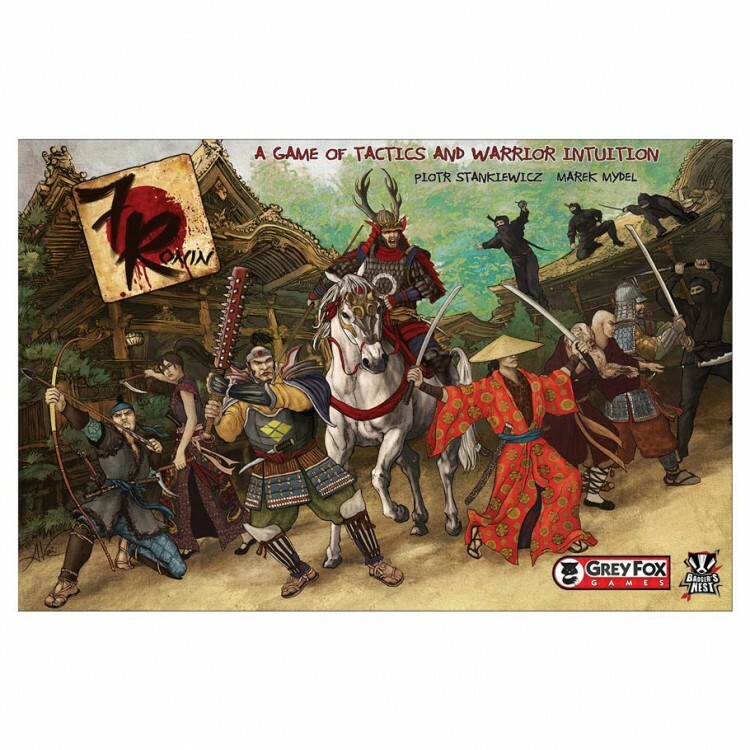 Each player must outsmart and outmaneuver the other and only one will survive. You must anticipate your enemy's plans if you wish to make it through the winter.